2 weeks ago, Armin van Buuren celebrated the Grande Finale of his “A State Of Trance 600 – The Expedition” world tour. That wasn’t all, Armin also announced the first date for “Armin Only – Intense” World tour on November 15th in Amsterdam. 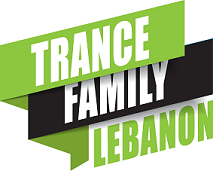 Fans from around the world started campaigning for Armin Only after campaigning for several months for ASOT600. What differ now from ASOT600 campaigning is that campaigners are ONE single family instead of being competitive. This truly shows the true #TranceFamily spirit. “Intense” Tracklist was revealed, featuring collaboration with Aruna, Emma Hewitt, Richard Bedford & Many more, so you know who to expect on the world tour. Visiting the Armin Only website allows you to signup and be notified when tickets are available/announced.